This year, say no to those readymade decorations and say yes to making your own decorations. There are many DIY ideas that you will come across on the internet that you can use to make your own decorations. Not just that, if you have kids at home then what better way to keep them occupied than this. Make yourself in charge of the whole affair and offload and delegate some responsibilities to all the members of the family. 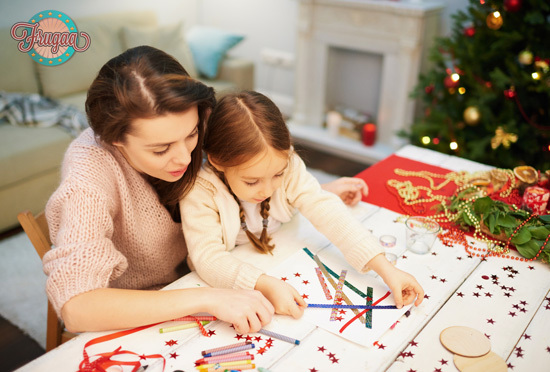 This way you can also enjoy some good old fashioned family time with everyone at home, get some decorations done and of course have a few laughs while you are at it. Taking a leaf out of the hit talent show America’s Got Talent itself, here is a holiday activity that your family and friends can indulge in. Age is no bar when it comes to performing onstage and in front of your dear and loved ones. Maybe the kids can get together and perform a dance or a small skit for yourself. Everyone can take up maybe one activity and perform something. You could sing, dance, lip sync, do some magic or card tricks. If you want to take it a notch further, then maybe you can even design sets, costumes, get an original script or have a live music setup done. The possibilities are endless here. Who says baking is an activity reserved for only the ladies or bakers themselves? Well, this year you could get you and your family together and bake something together. From toddlers, teenagers to grown-ups, everyone can involve themselves in the activity. Mixing, matching and measuring as a family and getting sweet treats at the end of it all. You could even allow kids to take up simple baking projects and pit them together in groups. Definitely, a sweet prospect to get involved in. You can order a number of things for your little baking party with supplies from Michaels and get maximum discount on all orders. The holiday season is abuzz with a thousand things to do in and around your area. Make a note of some local events, shopping fiesta, trade fair or flea markets that you could visit together as a family. There are some activities that come around only once in a year and now’s certainly the time to catch them all. Who says all your favorite holiday activities need to be set in a home environment? So get your chive on, put on some warm layers and head out for some good family fun. Even though you may not get a time out of your busy schedule all year, the holiday season is a perfect time to give back to the community. Volunteer yourself and your family members at the local community hall or charity drives. This can be a good time for you to embrace the spirit of Christmas and share good vibes with the people around you and the less privileged ones. However be sure to consider your volunteering commitments carefully so you may not end up having more than you can handle. Everybody loves flowers. Maybe you can take some at the place you are volunteering and hand out one to every person you meet. Don’t worry, this activity doesn’t involve you tracing your lineage back two or three generations. We all love decorating the Christmas tree so why not amp up this happy activity with a new addition. Get your family’s photo album out and let everyone take their pick from the photos they love the best. In a digital era where our phones are our photo albums, you could even surprise everyone with a gem of a photo from the past. You can decorate this with some thoughtful frames and hang it around the Christmas tree for everyone to see. Once everyone is done, you can then collect all the photos and in an actual scrapbook that you can visit again. 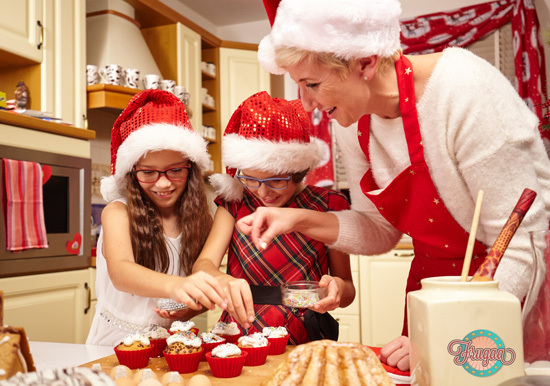 So, there we have a brief of some great holiday activities and ideas that you and your family can indulge in this Christmas.